India’s leading payment gateway Paytm that offers comprehensive payment services for customer and merchants has revamped its app to make it even more user friendly and intuitive. The new update personalizes the app experience for the user, showcasing frequent use cases at a customized level. Money Transfers is also now simpler & faster; offering instant transfers from a user’s Paytm Payments Bank account, Paytm Wallet or any other bank account to any bank account at 0% fee. Passbook, which contains account history and balance, has been revamped to present all information in a snapshot. Paytm has evolved from being a wallet company to a full stack payments provider by offering multi-source and multi destination solutions. The Paytm app is being used to make payments using Credit/Debit Cards, any Bank account, Paytm Wallet and Paytm Postpaid to the recipient Bank Account or Paytm account. The platform is used by millions of users for online transactions on Paytm and on other popular apps/websites, offline stores (through Paytm QR). This, combined with its reach of 7 Million offline merchants makes Paytm the dominant player in this space. The company has already achieved a run rate of 1 Billion transactions per quarter, making it the largest payments service provider in the country, reaffirming its leadership. With this revamp, Paytm aims exponential growth in Money Transfers this year. 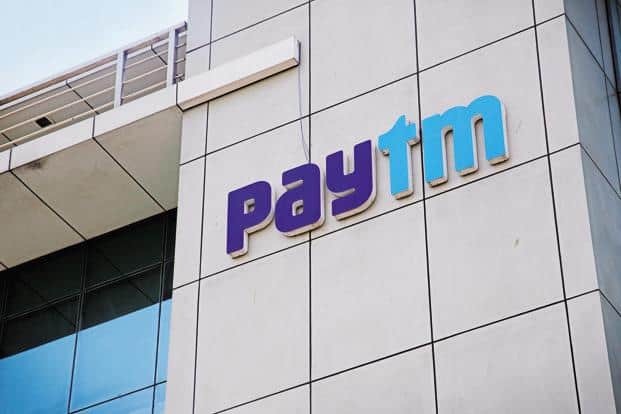 It has been aggressively educating users to link their bank accounts and experience instant transfers using the Paytm app. This will address the money transfer need for variety of use cases like house rent, supplier/ wholesale dues, tuition fee, freelancers, salaries of unorganized workforce, peer-to-peer payments among others. The increased thrust on Money Transfers has aided the company in taking the new KYC norms in its stride, and has been able to sustain the growth in transactions. While the platform continues to meet KYC completion requirements of a massive number of its customers, it is overwhelmed with the demand and consumer trust. This further proves that Paytm is now part of millions of customers’ everyday life. Paytm Aims Exponential Growth in Money Transfers This Year 0 out of 5 based on 0 ratings. 0 user reviews.